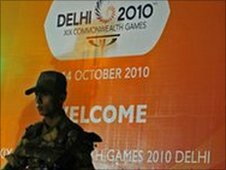 A group of Indian ministers meets later to begin investigating corruption claims at the Commonwealth Games. Welsh boxer Sean McGoldrick could have his Commonwealth Games silver medal upgraded to gold after his opponent fails a drugs test. England's women's 4x400m Commonwealth Games relay squad are promoted to silver after Nigeria's Folashade Abugan fails a drugs test in Delhi. What next for Indian sport? Did Delhi live up to expectations? "It's now all about creating the moment in Glasgow we will want to remember"
"Being the eternal optimist, I think Scotland's game against England is winnable"